Serenity Woods is the perfect place to relax and escape the daily stress. Sit on the deck among the trees and many species of birds. Enjoy a brilliant starlit sky; hike through the woods; embrace the great outdoors. A wonderful, private place for a romantic get-away. Ideal setting for off-site meetings to plan or brainstorm as well as a haven for writers or artists. This non-smoking, luxurious cottage is fully furnished and includes all amenities. It comfortably sleeps up to five people. Serenity Cottage features an open living room, fully-furnished kitchen, loft bedroom and full bath with Jacuzzi tub and separate shower, as well as a half-bath and huge walk-around deck. You bring only food and personal care items. Conveniently located off U.S. Highway 127 in Owen County, it is easy to reach but far from your busy world. 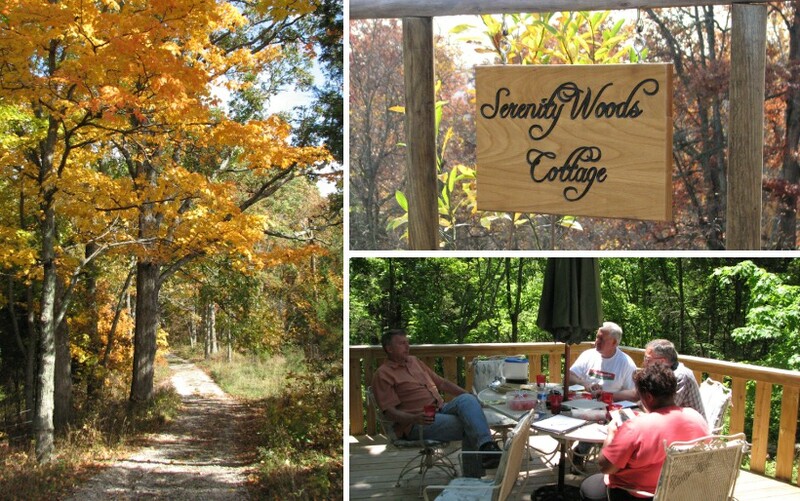 Serenity Woods is 20 minutes north of Frankfort, 1 hour from Lexington, 1 1/2 hours from Louisville and Cincinnati.